Families across Scotland are still being hit with rising funeral costs, according to a new report published by Citizens Advice Scotland. The new report, The Cost of Saying Goodbye 2016, details the rising prices of burials and cremations in all of Scotland’s 32 Local Authorities. 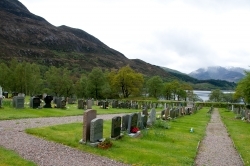 the basic cost of burial fees in Scotland (i.e. not including undertakers fees) is now on average £1,363. That’s a 7% increase since last year. This cost has increased in all but three Councils. There is still a postcode lottery in these charges, with the costs varying by over £1,500 between the most expensive and least expensive Councils. The most expensive is The City of Edinburgh, and the least expensive is still the Western Isles for the third year running. Meanwhile the cost of local authority cremations is on average £670: an increase of 11% since last year. In some areas only private crematoriums are available, the cost of these can range up to £934 in Dundee & Moray. “When someone dies you have to pay your Local Authority for burial costs like the internment and the lair (grave), as well as other costs like funeral directors and flowers. For the last three years we have contacted all 32 Councils in Scotland to find out the prices they charge for these services. Since last year we have seen an overall 8% rise in burial costs, and that there are still huge disparities between the prices set by different councils. “We have found that cremations are a much less expensive form of saying goodbye, with an average charge of £670. However, even this is 11% higher than the charges last year. In some areas of Scotland only a private crematorium is available with fees being on average 15% more at a private crematorium than a local authority run one. The additional burden of costs such as funeral directors expenses, a wake and flowers make this a significant expense for many low-income families, especially if the bereavement is sudden.